I love to travel and experience other cultures, so of course I want to share this with my daughter. However, at the moment a plane ticket to Japan is a bit hard to swing. 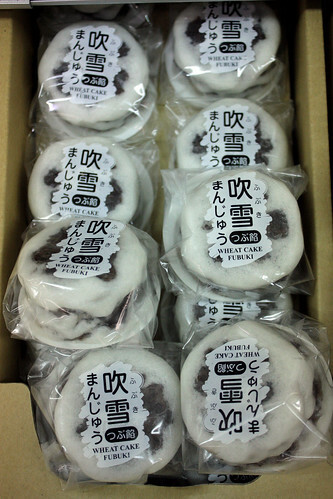 But luckily, with Mitsua Market, a trip to Japan can be just a hop, skip and a jump away. 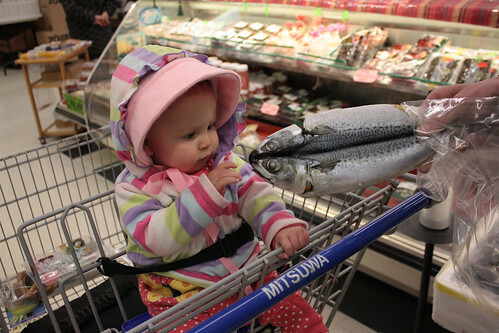 Thora checks out some dried mackerel. A trip to Mitsua, isn’t just a trip to Arlington Heights, its an exotic shopping excursion to the Land of the Setting Sun. You can browse an awesomely authentic Japanese grocery store, a full range of Japanese shopping including a book store, a tea shop, an alcohol mart, a jewelry and cosmetic counter, a bakery and of course the awesome food court where you can nibble all of your favorite Japanese foods while you shop! My main reason for visiting, is to stock up on my sushi supplies: short grain rice, sheets of nori and of course their awesome selection of fresh fish! A few sweet bean cakes always end up in my cart too! 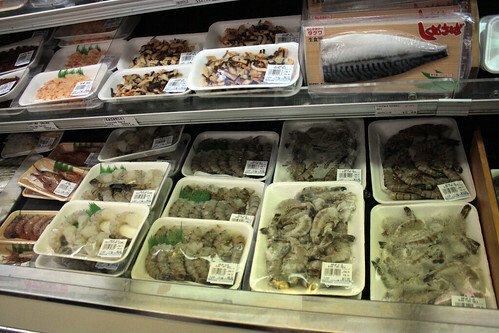 If you want an awesome trip to Japan without the 18 hour flight, check out Mitsua Market! Thora loves it and you will too! Manna From Heaven: Andy’s Fruit Ranch! don’t forget the cute sanrio stuff! 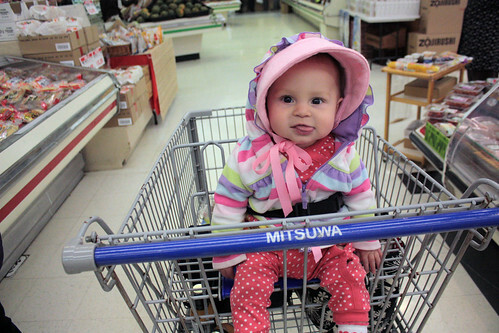 i couldn’t help noticing you misspelled mitsuwa, but your links to the website work. also, japan is called land of the rising sun.